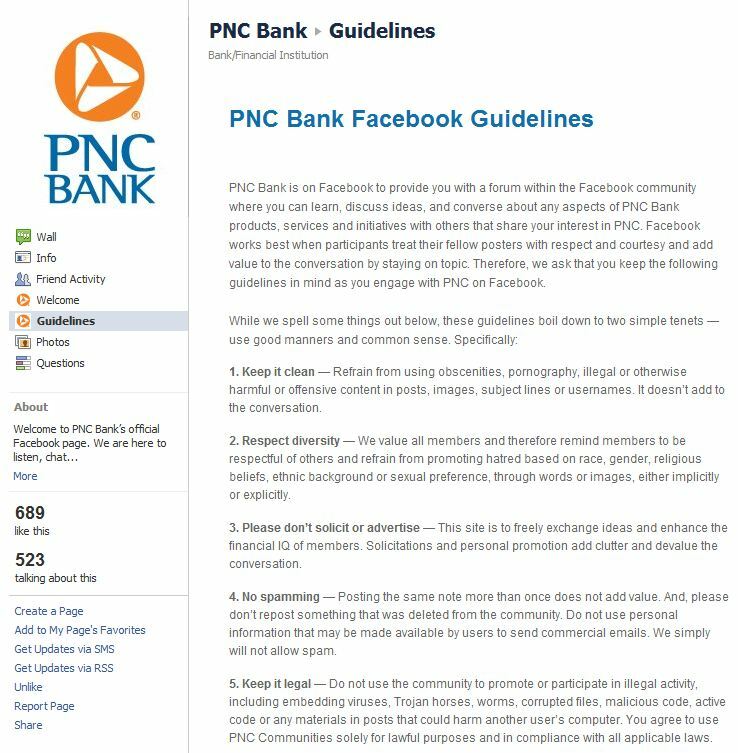 One of the nations largest banks has been missing from the Facebook landscape until just recently. They have launched a new Facebook page in which they want to keep you up to date on what is happening in the PNC world. So far they are off to a pretty decent start by responding to customer service comments that come through the news feed. One thing that struck me as odd is adding a guidelines (rules) tab for using their page. What are your thoughts on Facebook brands adding "rules of use" for their page?